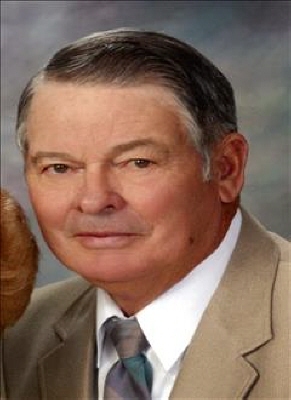 Billy Ray Page was born to Cap and Irene Page on the Page family farm located north of Kibby and southeast of Buffalo, Oklahoma. He attended Kibby School until its doors were closed when he transferred to Buffalo to continue his education. Growing up on the farm he loved riding his horse Blacky and still has possession of his saddle. By working for his neighbor, who was unable to pay in cash, he earned his first rifle. He spent any free time hunting and developing his shooting skills. Located on the farm is the Page family original sod house built in 1904. In later years, Cap and Irene built the main house located next to the sod but Bill and his younger brother Frank preferred sleeping in the sod. With the three foot thick walls they loved the cool in the summer and warmth in the winter. Life during his youth was tough in the 30s and 40s. The lessons he learned early held true throughout his life, especially not to waste anything that might be put to good use later. While still living at home he helped build the Selman grain elevator. With the farmâ€™s higher elevation, his parents could step out their back door and see the elevator as all the men were working. Billy often talked about the 1947 Woodward tornado. They drove a team of horses pulling a wagon from Buffalo to Woodward to help any way they could. He never forgot the devastation of that event. Bill enlisted in the Air Force at the age of 21. Arriving in Fort Benning, Georgia with a couple of buddies from Buffalo and 30,000 other enlisted men was a real eye opener for this country boy. Bill excelled as an aircraft and engine mechanic and was stationed in Anchorage, Alaska to fulfill his commitment. As a Staff Sergeant, his stint in the Air Force provided him with the opportunity for many experiences that most people only read about. Bill met Joe Ann Culp in Buffalo and they married in 1952. After their wedding she joined him in Anchorage. As young newlyweds living in a quonset hut on base, enjoying the camping and fishing, it was a wonderful time in Alaska and in their lives. One of Kims favorite memories as a young child was during a massive snowstorm in Woodward. Bill shoveled his way to his shop where he went to work building a sled. With the snowshoes he owned in Alaska, he was able to walk on top of the 8 inch drifts to the local grocery store. Looking out the window and watching him trudge home with food, he was Super Man. Upon his honorable discharge in 1954, they returned to Buffalo. Cap was in bad health and Billy was needed. It was at this time, Bill and Joe Ann welcomed their first child, Marlee. After Irene moved into Buffalo, Bill and Joe Ann decided to take their young daughter and pursue job opportunities in California. They moved to Palmdale where Bill worked in the aircraft plant. They welcomed their second child, Kim, who was born in Lancaster. The plant closed within two years and they, once again, made their way back to Oklahoma settling in Woodward. Billy was a man of many skills and carpentry came easily for him. He assisted on the construction of several local schools, the Pioneer Room at the Civic Center and was the contractor of numerous homes throughout Woodward. With the help of his good friend Ezra Cosgrave, at night and on weekends, he built his family a home. To work after the sun went down, he and Ezra strung lights across the roof rafters which delighted Mr. and Mrs. Rosendale, the elderly couple who lived on a small farm across the street. It was at this time they welcomed their third child, Jana. Bill and Joe Ann moved with their three daughters into their new home where they raised the girls and continue to live there today. In 1967 he went into the trucking business with his beloved brother, Frank and later established his own trucking company that he loved. It was an easy fit for Bill and Frank as they worked side by side for 33 years. He made many good friends but the one man they both relied on and valued is Brad Johnson. They knew that they could always count on Brad. Even though the business demanded constant attention, he always found time to go quail and turkey hunting, or shoot trap with the son he never had, Jeff Sarvash. The two of them were kindred spirits and continued to stay in contact for the past 45 years. Also during this time and into retirement, he ran the Elkâ€™s Gun Club for 17 years. Every aspect of trap shooting was one of his greatest joys along with teaching kids of all ages how to safely handle a gun and the pure enjoyment of this sport. Bill had the reputation of an excellent shot, accumulating many awards and trophies. He developed many great friendships and could not wait to spend time with his shooting buddies. He stayed in contact with many of them after the club was closed. Billy continued to honor his heritage by maintaining the farm and the sod house. Irene registered the sod with the Oklahoma Historical Society and it required constant care. He and Joe Ann along with Kim spent countless hours working on the sod and on the surrounding land with brush hogs, chain saws and mowers, repairing barb wire fences and anything else that was needed. In later years when he was no longer able to do the physical labor, Bill relied on his lifelong friend and neighbor Kenneth Job to take over this responsibility. In his later years, Bill and Joe Chance developed a really good friendship. He always looked forward to spending time with Joe, talking and enjoying his company. Joe made the comment that (Bill was a manâ€™s man). This was so true. Bill and Joe Ann celebrated 66 years of marriage on June 23, 2018. They were best friends and constant companions. He cherished his wife, loved his family and treasured his life. One of his favorite sayings was â€œweâ€™re burning daylightâ€ and lived his life to the fullest. Two of his greatest sources of pride were his grandchildren. Watching Carson Cunningham nightly on Channel 5 Sports made him so proud. He never hesitated to tell everyone that was his Grandson on TV. Bill and Joe Ann knew they could rely on their granddaughter Brooke Hanson to stay in constant contact with PaPa and Grandma. She never failed to tell them how much she loves them. Bill was very proud of his three daughters; Marlee Cunningham, Kim Lawrence and Jana Johnson along with his son-in-law Mike Cunningham and Norman Zeller. He mourned the death of his parents, beloved brother Junior Page and his sister Joyce Valentine who he loved dearly. He is survived by his brother Frank Page and his wife Charlene of Buffalo, along with other family members. Services to honor Bill will be held Wednesday, November 28, 2018 at 1:00PM in the Billingâ€™s Funeral Chapel. Burial will follow in the Elmwood Cemetery. To send flowers or a remembrance gift to the family of Billy Page, please visit our Tribute Store. "Email Address" would like to share the life celebration of Billy Page. Click on the "link" to go to share a favorite memory or leave a condolence message for the family.